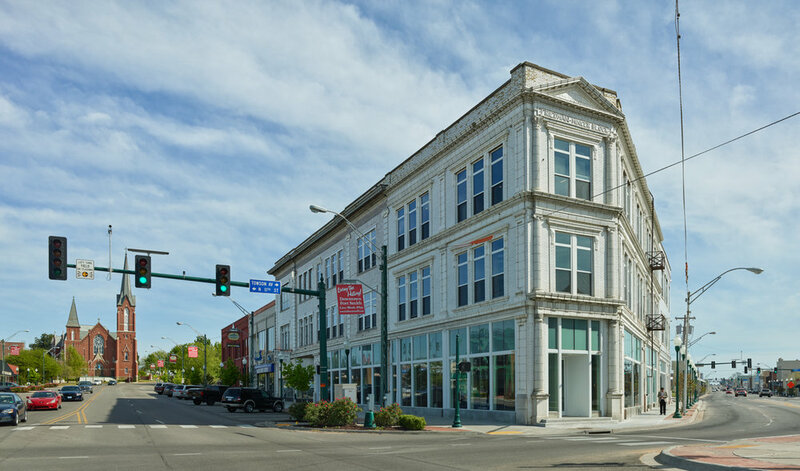 Built in 1912, the Friedman-Mincer building occupies a prominent intersection, Texas Corner, in downtown Fort Smith. Vacant for over 15 years and abandoned by the previous owner after being denied a demolition permit by the City, the building was purchased in a derelict condition, including a partial collapse of the roof and third floor, leaving only the exterior load bearing brick walls and the interior wood columns, beams, and joists. 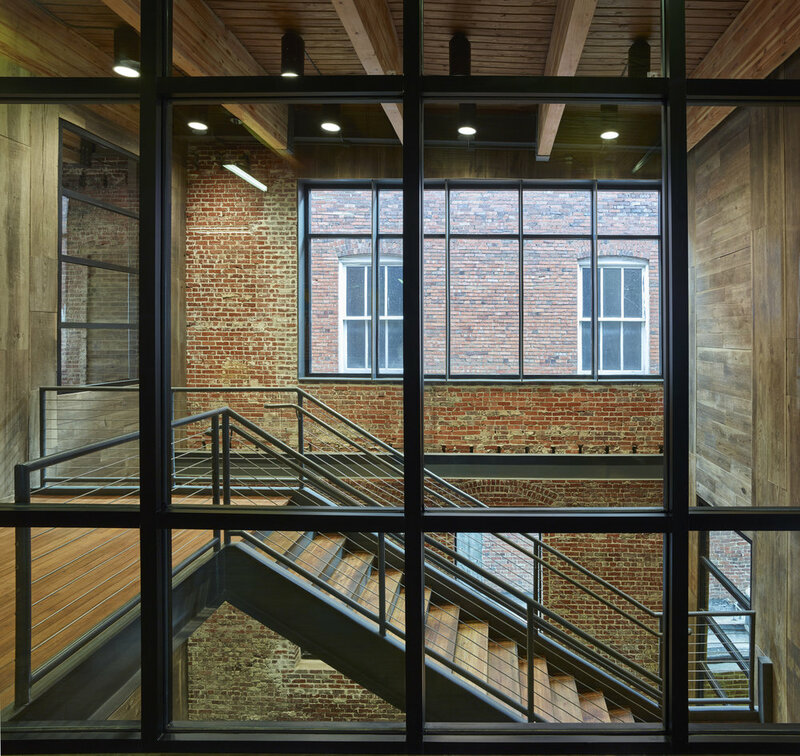 Through rehabilitation a new building was constructed within the existing brick walls and included a full finish out of the second and third floors, leaving the first floor as available to rent for retail or gallery space. The new structure is a combination of steel columns and beams with glulam floor joists and wood floor decking. The structure, along with the existing brick walls and new mechanical, electrical, and plumbing, is all exposed to exhibit both the historic cask and new finish out. 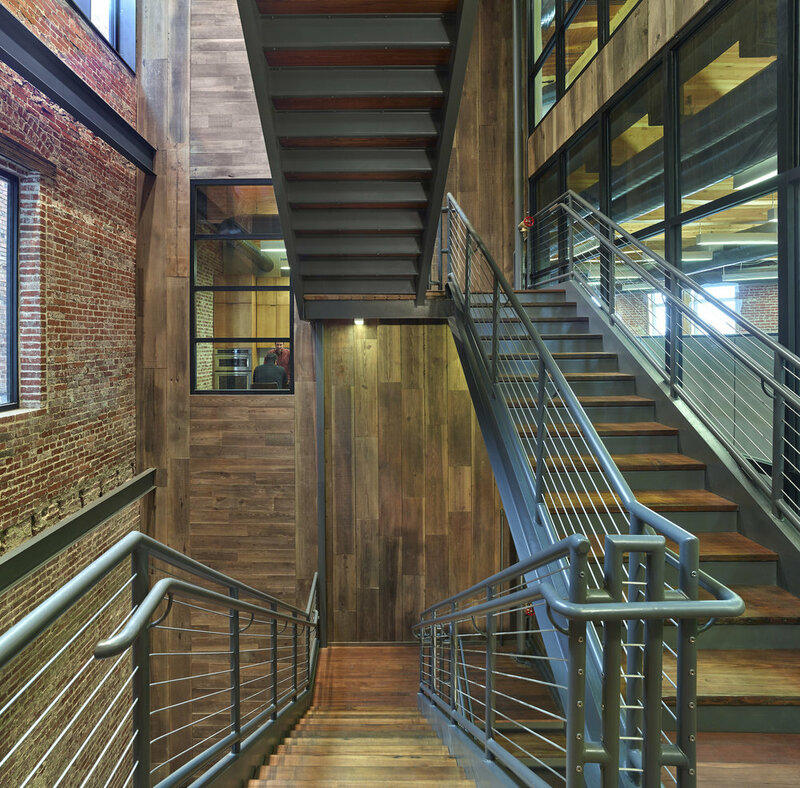 Along with the exposed brick walls, many of the interior surfaces were finished with reclaimed wood from the original structure. A total of 8,000 linear feet of 2x14, 2x10, and 2x8 boards were salvaged and split to create 16,000 linear feet of 3/4” 100-year-old pine. The building also received new windows and storefronts in keeping with the historic exterior. The new storefronts follow the same horizontal and vertical lines of the original, utilizing both clear and translucent glazing, and meeting the requirements for historic tax credits while also giving the building a clean, modern touch at the level of the pedestrian.